The Orthopedic Group’s spine specialists are doctors that are able to treat the many issues that may occur with a patient’s spine area, including the back and neck. By using a number of diagnosis and treatment techniques, The Orthopedic Group’s spine specialists can locate and properly treat a patient’s area of discomfort to provide relief and, in many cases, return of proper function to muscles and nerves. Treatment for these conditions is based on recommendations The Orthopedic Group spine specialists receive from a patient, their primary care physician and rehabilitation specialists. Our spine specialists work closely with the patient and rehabilitation staff to ensure that the patient receives the desired results and a return of function. Diagnosis of the exact cause of discomfort can be determined by The Orthopedic Group’s spine specialists using a number of different tests, including traditional X-Rays, MRIs and other non-invasive methods. By using these methods, a proper diagnosis and treatment plan can be created. Some serious spinal conditions may require surgical intervention by The Orthopedic Group’s spine specialists, allowing for restoration of functions and less pain. Through surgery, The Orthopedic Group’s spine specialists can make a number of improvements to nerves, vertebrae and muscles in the spinal column to help eliminate the patient’s conditions. The Orthopedic Group’s spine specialists are trained to work with all types of patients, including children and athletes, and have the ability to treat complicated cases. Dr. Eric Nabors was born in Indiana, PA. He grew up in Mt Lebanon with a younger brother and sister and graduated high school there. He loved playing baseball and golf. Dr. Nabors attended Haverford College in suburban Philadelphia majoring in biology and played on the baseball team. He went on to the University of Pittsburgh School of Medicine followed by residency in Orthopaedic Surgery at Tufts University in Boston. 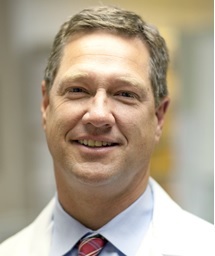 Dr. Nabors’ Fellowship was completed in Spine Surgery at UPMC. 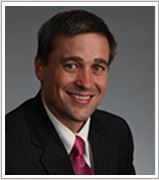 Dr. Nabors has been in private practice in the South Hills and Washington, PA since 1995 and is Board Certified. He has raised two sons and several golden retrievers!